This machine is for VR Development, low poly modeling and gaming. I was pretty anxious starting out due to the fact that this was my first build since win98 era. After staring at the parts for two weeks, once I started I was pleasantly surprised on how intuitive the process was. The fans/rgb hub/lighting node were probably the trickiest part but after using a Y splitter to free up some fan headers, the rest went pretty smooth. Asus GeForce GTX 1080 Got lucky with GTX card, was on the waiting list with newegg, bought it right when I got the available notice for close to list price. Phanteks Enthoo Pro M The Enthoo case was great to work in for the most part, right after I took off my grounding strap I peeled off the plastic wrap on the tempered glass, the static from wrap gave me a nice shock when touching the case again, luckily nothing seems to be fried. Corsair ML140 PRO RGB The ML RGB fans look great, took a little tweaking in the bios but they're perfectly quiet now. Nice looking build. Looks like RGB TRON. Woah, your build is kinda similar to mine. 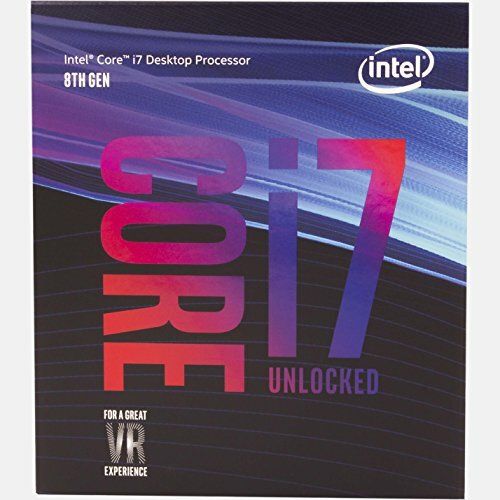 I do have to ask though, how is the H115 Pro cooling your 8700k? I was thinking of getting that cooler but I currently have the CLC 280 from EVGA with some Corsair case fans, nice build though, really clean. Mine works fine too...idle is in the 30's and fully racing doesn't cross 75f on stock paste. Thank you! Nice build too! The purple Nzxt case looks awesome. Stayed pretty cool during Witcher 3, haven't had a chance to do much testing, I'm sure it'll do fine though, might add some after market thermal paste eventually. Thanks man! Now I might pick one up knowing that it’s good, it has some nice aesthetics too! 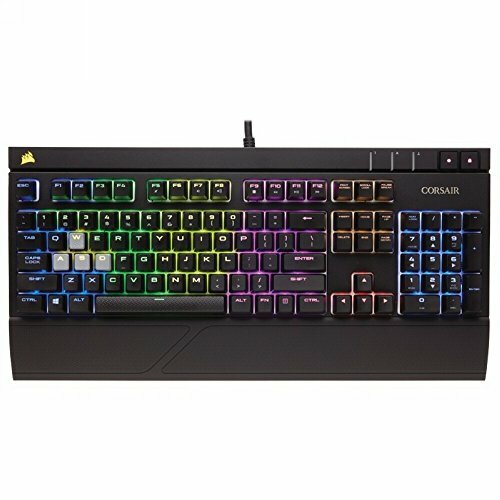 Really like your selection of parts..
Corsair is just releasing an RGB enabled CLC just to let you know. Might be something that you would like. I recently went with all Nocuta, and don't regret my call there. But hear the ML fans from corsair are pretty amazing. On the RGB ones, can you turn the lighting completely off if you want ? And do you know anything about Linux support for them software wise ? Thank you! I really like the look of Nocuta fans, would have probably gone with those also but the cooler came with two MLs so decided to keep the theme. With the Corsair link software there's a setting to turn them off, it's pretty flexible. Sorry not sure about the linux support. Having a hard time deciding if I want to try some of the ML for my Mining Rig or stick with the Noctua's. Maybe I'll do half and half or something. You can never have too many 140mm fans, riiight ? That dark side of the moon is so nice looking is it a reflection from your monitor, its actually so beautiful. Nice build! However, you may be one of many people who may be thinking that Corsair's new RGB versions of the ML120/ML140 fans are just RGBed versions of their original ML120/ML140 fans. But Corsair really reduced both the airflow and static pressure performance of their ML RGB fans to the point that I really see no reason to buy them at all. As colorful quiet case fans, I go for the much prettier LL120/LL140, which are just as quiet and offer similar performance as the ML RGB fans, but with far better RGB lighting effects. 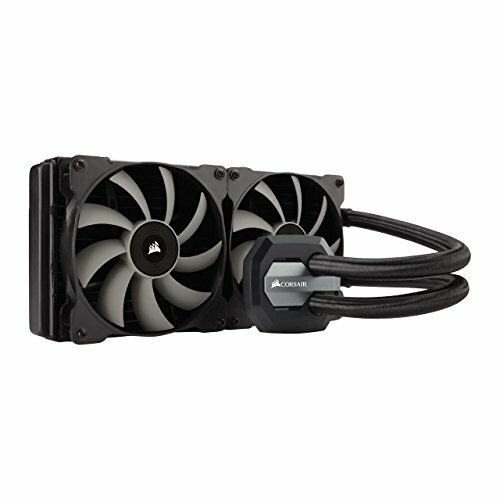 For use as static pressure radiator fans, I have previously used lots of Corsair's original ML LED fans along with Noctuas brown/beige and black industrial fans, and those are the best fans for use on ANY liquid-cooling radiator. If you want RGB lighting on your radiators, the next best option is Corsair's HD120/HD140, which offer far better static pressure than the ML RGB fans. And I also think the HD RGB effects are also prettier than the ML RGB fan's four-bulb setup. 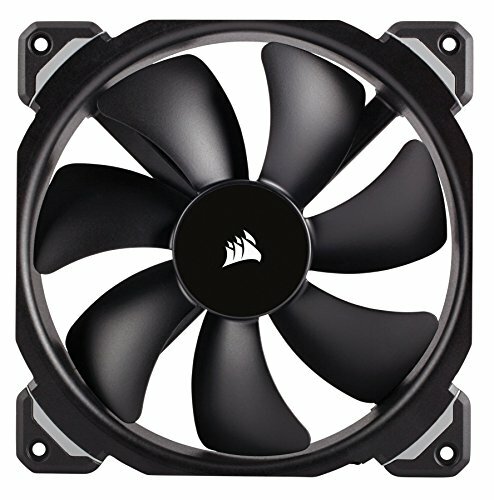 So even though I was originally excited when I heard that Corsair was adding RGB to their ML fans, I was very disappointed that they really reduced the ML RGB fan performance. The ML RGB fans are quiet, and that is really the only nice thing I can say for them. But Corsair's LL fans are also quiet and have much prettier RGB. Thanks for the perspective, I agree, the LL fans look fantastic. I'll probably be switching to the Noctuas eventually, having slight misophonia Ill tend to go for the quieter option. I did notice my intake fans running about 300 rpms faster than any of the others, not sure if its the MLs or header issue. What speed did your RAM reach? Asrock bios says 3000. No problems so far. My Asrock is able to move the ram to max out...is that not an option on yours?. Nice build...not far off mine so I'm not going to disagree on that one...what monitor did you get or have?. I got a gtx 1080ti on the same basis from newegg...even had to purchase a motherboard with it to get the deal..now have a b350 sitting in my storage waiting on my great nephew to need a machine...lol. Have you tested it out yet, if so, what numbers are you getting?. Everytime i see the SE version of the Pro M, i get more angry with myself for not having gone with that over the normal all black. Excellent build though. Thanks man. Great build too, all black looks awesome with the nzxt cooler!